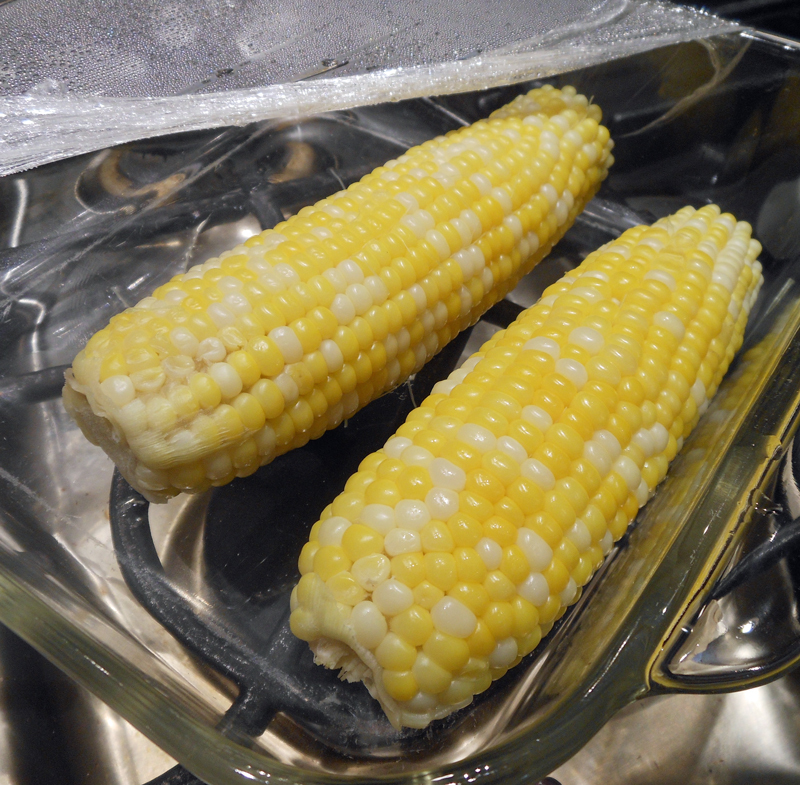 Place corn in a microwave safe dish. Add water and cover with waxed paper or plastic wrap. Pierce the paper several times and microwave on HIGH for 5-6 minutes. Let stand in microwave for 1 minute to complete cooking. Uncover, being careful not to get burned with the steam and enjoy! !